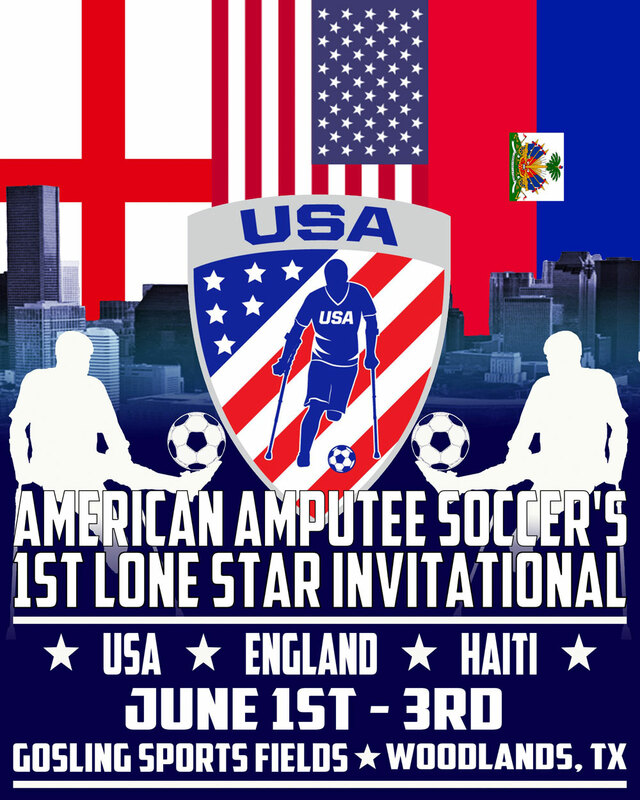 National amputee soccer teams from England, Haiti, and the USA will meet for an amputee soccer tournament June 1 – 3 in The Woodlands, Texas. The tournament is part of each team’s run-up to the Amputee Soccer World Cup scheduled for 24 October to 5 November, 2018 in for in Guadalajara, Mexico. Each team will play four matches in the round-robin tournament, fielding a mixture of seasoned veterans and developing talent. Haiti and Team USA met several times over the past year while Team England is coming off a first place finish in a recent tournament with Ireland and Poland. The tournament is being presented by the American Amputee Soccer Association, the Lone Star Amputee Football Club, and the Houston Dynamo-Dash Training Academy. As in previous visits of the Haitian amputee soccer team, the International Institute of SPORT (http://iisport.org and http://thepursuitofhope.com) will arrange prosthetic, dental and eye care for the Haitian team.